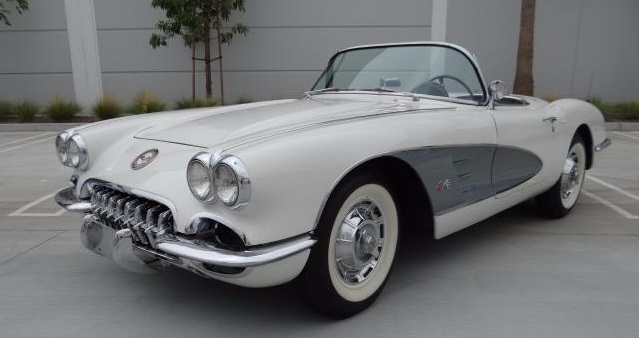 This 1960 Corvette is absolutely stunning. The ermine white paint has a ‘miles deep’ luster and the silver painted coves really add a touch of elegance to the look of the car. 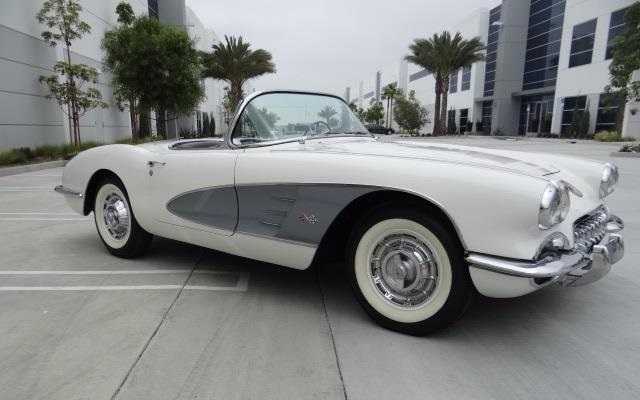 The black interior will make you feel like you have gone back in time to 1960 as it is in showroom condition. The white vinyl soft top has no tears and the plastic rear window is clear. The numbers matching, dual quad, 245HP 283 starts right up with the turn of the ignition key. The transmission shifts smoothly through all 4 gears. 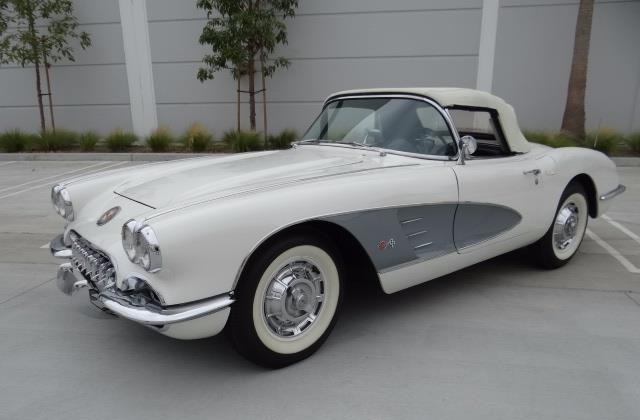 This Corvette is a real pleasure to drive. The chassis is rust free and shows no signs of any repairs. The floor pans are still the raw fiberglass just like when the car rolled off the assembly line. The rebound straps are in place and the exhaust system has no signs of any deterioration. Call here for more details 714 215 9518 More photos below.